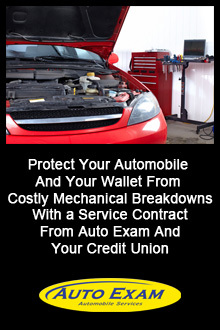 Put the brakes on expensive car repairs. A factory warranty may not be enough. Plus most major repairs occur after the manufacturer's warranty expires. Consider adding an extended service contract to your loan. Coverage obtained through the Credit Union may save you money when compared to dealer plans.